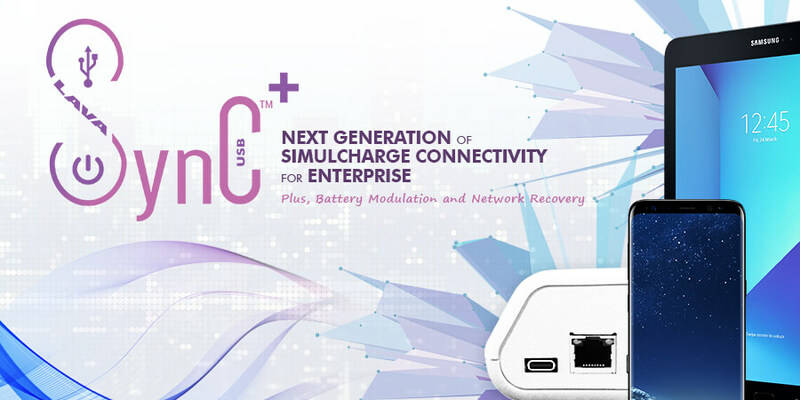 The LAVASynC+ vc5UE is the second generation of our SimulCharge adapters and is designed specifically for USB-C type Samsung mobile phones and tablets. This adapter provides a complete connectivity solution by using our custom SynC™ technology to simultaneously charge and support USB peripherals while they are connected to a mobile phone or tablet. 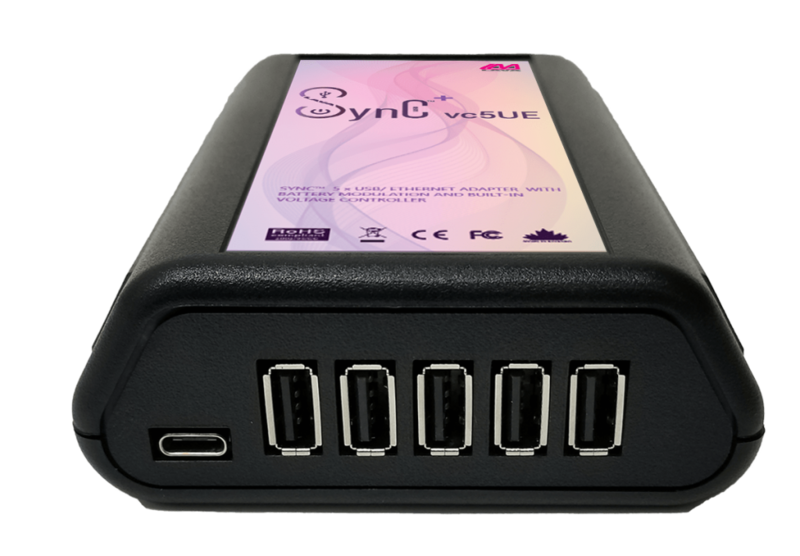 Featuring 5 x USB 2.0 Type A ports, Ethernet, Battery Modulation technology, and improved network operation, the LAVASync+ vc5UE adapter is ideal for mobile-based POS system or mobile station. Available with a built-in voltage converter that allows an external 9V up to 36V DC power supply to be placed up to 50 feet away from the tablet. Integrate your mobile kiosk with multiple USB-enabled devices. Power Supply: AC to DC Power Adapter between a range of 9V-36V and with a minimum output of 24W. Note: The power adapter not included.